How Far is South West Aarambh? 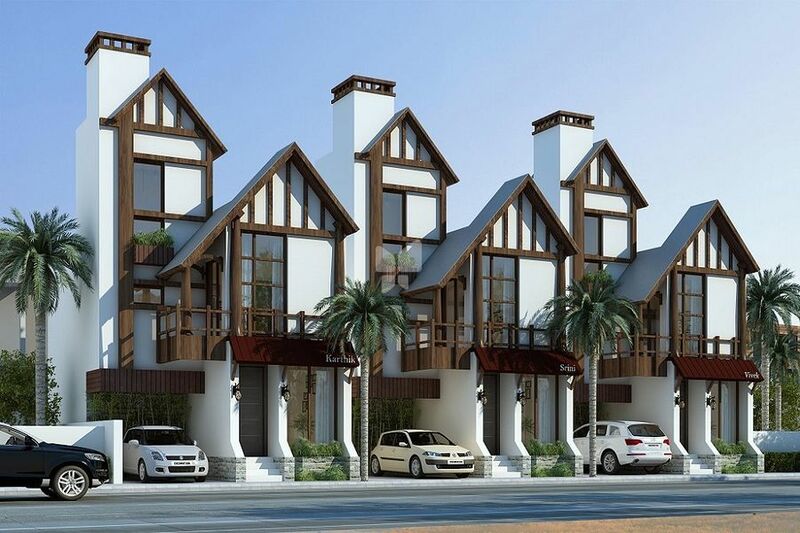 Located in the South Chennai, Southwest Arambh Villa is a residential launch by Southwest Developers, offering meticulously designed 3 BHK and 4 BHK villas and shops. The project features the best of industry specifications meeting the requirements of the modern day homebuyers. Foundation shall be done as per architect/structural design with framed structure. Solid concrete blocks shall be used. Foyer, Living, Dining & Kitchen - High quality vitrified tiles, shall be displayed at site. Ceramic tiles for toilets up to 8 feet height. Semi- finished kitchen in order to enable clients to fit modular kitchen framework as per their choice. Adequate electrical and plumbing points will be provided. Main Door - Teak wood frame and teak wood panel door as per architect's design with accessories. Bedroom Doors - Seasoned wood frame with flush door shutter and accessories. Toilet doors - Flush doors with Wood frame will be provided along with accessories. Toilet door will be film coated and painted for water proofing. Utility and external doors - Seasoned wood frame with panel / Moulded Door with accessories. Windows - UPVC - Alpine or equivalent make. Ventilators - UPVC (with louvers) - Alpine or equivalent make. A/C provisions - Provision for split A/C's will be given inside Villa's in all rooms. Putty with Emulsion finish - T All internal walls of the Villa including ceiling will be finished with 2 coats of putty and emulsion over one coat of primer. Exterior emulsion - External walls and internal walls of common area as per architect's choice. One Stainless Steel Bowl with dryer. Best in class CP fittings-Jaguar or equivalent. One tap- bore well water and provision for washing machine pointAngle valves: will be provided for washing machine point, geyser and Aqua guard point. Concealed copper wiring of RR cable, Havells or equivalent make with Modular plate switches will be provided. Wiring shall be done for lighting, 5 amps, 15 amps and A/c points with Villa-finolex or equivalent make. Switches — All switches shall be of Panasonic or equivalent make.